Disclaimer: There will be many parallels with established Magic: The Gathering (MTG) philosophy and concepts in this series, which is perfectly natural. Hearthstone is very much alike MTG in a lot of ways, and as such it's no surprise MTG's 20 years of insights can be applied to this very new - and casual - digital CCG to a certain extent. Still, Hearthstone as a game is still vastly unique, due to design decisions made by the team at Blizzard. The 'Hearthstone Fundamentals' articles are not meant to draw comparison between the two games, instead to celebrate their shared wisdom. "Time and time again, card drawing has proven to be a solid, almost risk-free path to victory, so much so that many players live by the statement 'If you draw more cards than your opponent, you will just win.'" Card advantage is a concept often talked about. If you were around during the early days of closed beta for Hearthstone, it was hands-down THE most talked about factor in deck-building, decision-making and general judgement of a card's value. There has been a lot of changes in player mentality since then, with a lot of pioneers driving those changes. Even then, card advantage remains a fundamental of the game, and the most straight-forward one. If you've watched a stream of a popular player, or seen a tournament, you've probably heard of it, or its companion concept "value". Ideally, after reading this article, you - as a player of any level - will be able to better apply (or start applying) this concept in a more practical sense. In its essence, card advantage is the process where one player obtains effectively more cards than the opponent. Sounds simple right? It's supposed to be. 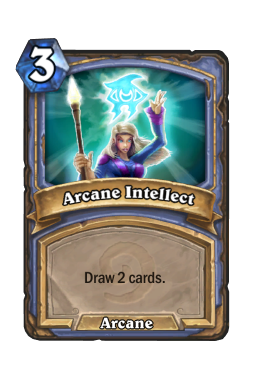 arcane intellect is the classic example of card advantage. It trades itself - one card - so you can draw two cards. A 1-for-2 (or 2-for-1, it goes both ways), effectively. Note that card advantage is exactly as it sounds: an advantage, not a dynamic one-way variable. It is instead the result of an equation. 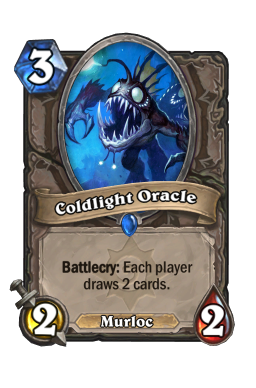 coldlight oracle , for example, draws you two card, while being a creature itself. That's a 3-for-1, right? In actuality, because it also draws your opponent 2 cards, the equation now updates. It has become an even trade, or a 3-for-3 (which is even). Your advantage is the creature you now have, and 2 cards. Your trade-off is losing the card itself from the hand, and two extra cards the opponent has. It is important to look at a card from a macro point of view, and it will help you see its value a lot more accurately. As you don't know what a card will be (omitted information) before you actually draw it, viewing it as a generic 'card', instead of a specific card, makes your game plan far more reliable. An analogy that's similar would be checker pieces vs. chess pieces. In checkers, all pieces are the same, and the only thing that matters is their positioning. If you think about it, the same situation applies to a 30 card deck with all the cards face-down. This contrasts with chess, where each piece has a different purpose and role, and is judged differently based on the context of the game. For the purpose of this analogy, you should treat the cards in your deck like a stack of checker pieces, while treating the board and your hand as a chess board. Eventually, there's going to be a point in gameplay where the face-down cards of your deck are no longer completely unknown to you, and you work your board and your hand to that. That, however, is outside the scope of this article. So you've seen, and hopefully understood, card advantage. But have you heard of virtual card advantage? The previously mentioned arcane intellect is pretty much a context-free, or linear, card advantage. Under most circumstances, it's going to draw you two cards. 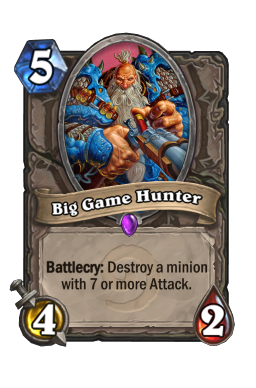 A card like big game hunter (BGH) however, operates differently. 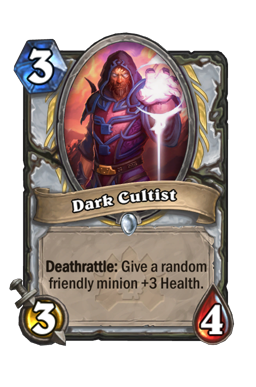 If you play him as a 3-drop without any target, he's just a 3 mana 4/2. In this case, there's no advantage gained. However, if you manage to get his effect off on an opponent's creature, they lose that creature, and you gain one, all for the cost of one card! This is a 2-for-1 situation, and you've just gained card advantage. 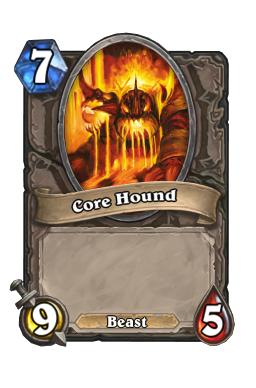 It's beneficial to view the interaction in this mathematical sense, instead of "my Big Game Hunter just killed your core hound ". Far too often I see a player holding his bigger swing cards just because they 'might' get better value of they wait for it, even if they didn't have an alternate answer. A 2-for-1 is a 2-for-1, and while in a specific situation, you might want to resolve the effect on a designated target, best not to let it blind you. An opponent that holds his bigger creatures, or may simply have none, is never going to let your BGH 2-for-1 him. This is context-specific, or non-linear, virtual card advantage. Let's take a look at harrison jones . 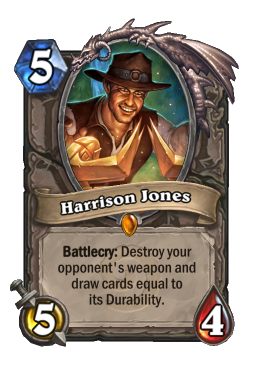 If the opponent doesn't have a weapon, he's a 5 mana 5/4. However, the swing power of the card comes in when your opponent has a weapon, strictly of any description. 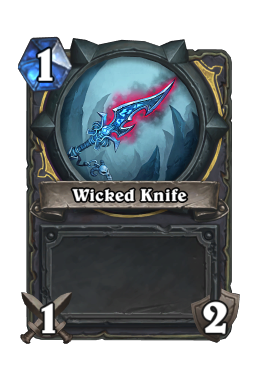 Even destroying a 1/1 Rogue's wicked knife , you would have already drawn a card. That's a 2-for-1 straight up, no questions asked. 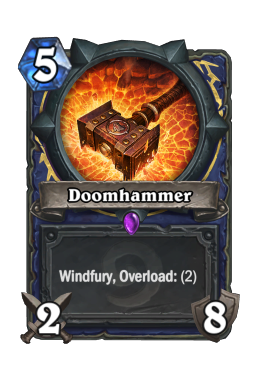 At times, if you happen to destroy a full durability doomhammer (god bless), you've effectively gained a 1-for-10 card advantage, as you've directly countered one of the opponent's cards, put a minion on board, on top of the extra 8 you just drawn. It sounds amazing, doesn't it? It sounds amazing because it is. You're suddenly impossibly up ahead in terms of card advantage from your opponent by playing just one card. Of course, this situation doesn't come around too often, and for good reasons as well. It's part of the game's balance, and the game has a pretty good sense of it. To sum up, virtual card advantage are effects that will situationally give you a card advantage. Their effects, therefore, are usually stronger than linear ones. 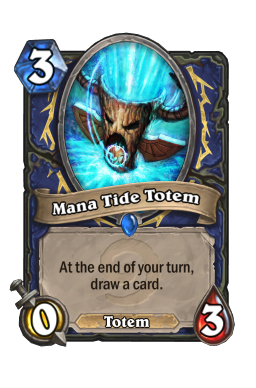 In Hearthstone, there exists a card like mana tide totem . It will not have any instant benefit as it is played. It will, however, draw you a card at the end of your turn (even the first turn you play it) effectively replacing itself while giving you a minion on board (a 2-for-1). This is delayed card advantage. Depending on how many extra turns it stays on the board, it can get that many extra cards. This is virtual - delayed card advantage. Delayed card advantage has the distinct drawback in the fact that it can be countered before the effect itself has a chance to resolve. 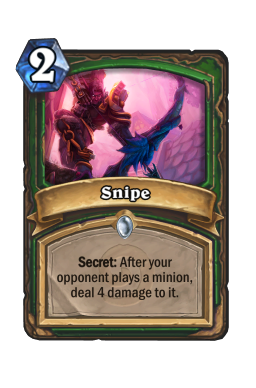 In this case, an enemy Hunter's set snipe will 1-for-1 your Mana Tide Totem, denying any further effects. 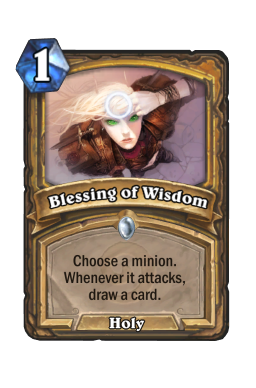 A non-minion representation of this concept would be blessing of wisdom . It can be used on absolute any minion, and will cause a card draw when the target attacks. Another example of virtual - delayed card draw. It's almost universally agreed upon that instant card draw is better than delayed card draw. While the net card advantage may be the same (purely mathematically speaking), being able to have more information at an earlier time will always be beneficial. It gives you options faster, from which you can plan accordingly. In a game of information and thinking ahead, this is important. That said, delayed card advantage is still card advantage. After all, while a bird in hand is worth two in the bush, two birds in the bush is still better than none. It's a pretty easy process to identify which effects obviously have to do with card advantage. However, this is only the fundamental step of improving as a Hearthst. Many opportunistic cards in the game give players the ability to generate (or lose, the concept goes both ways) card advantage, depending on how they are played. Regardless of what people may tell you, Hearthstone isn't Solitaire. Many times, your cards' efficiency are determined on how well your opponent can respond to them. Do these two cards scream out card advantage to you? 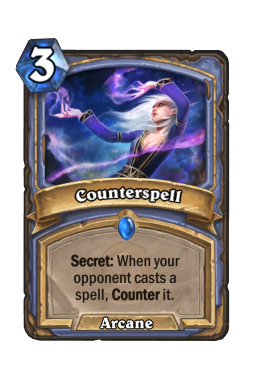 Ancestral Spirit and Counterspell are cards that don't have a specific amount of card advantage that can be gained by reading their effects. In fact, looking at them briefly, they should be classic examples of 1-for-1. 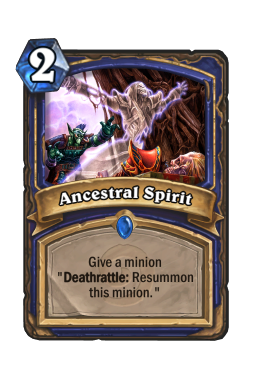 Ancestral Spirit basically gives you the minion back for the cost of a card, while Counterspell negates the effect of an opponent's spell. Simple, right? Not so fast. 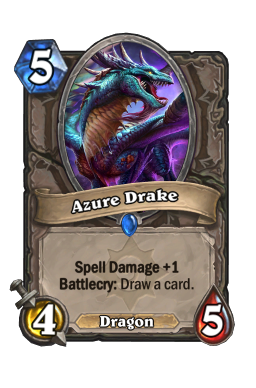 First, let us look at ancestral spirit : * Gaining card advantage: You play argent commander and run it into the opponent's azure drake , removing its Divine Shield. Next turn, the opponent plays a dark cultist . It's your turn. You play Ancestral Spirit on Argent Commander, and run it into the Dark Cultist. 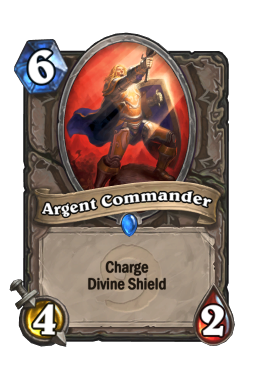 Both minions die, but Argent Commander gets revived, Divine Shield intact. Furthermore, it gets to attack again. In this situation, you've basically traded your Ancestral Spirit for the enemy's Azure Drake and Dark Cultist, effectively a 1-for-2, while keeping your Argent Commander in perfect shape. 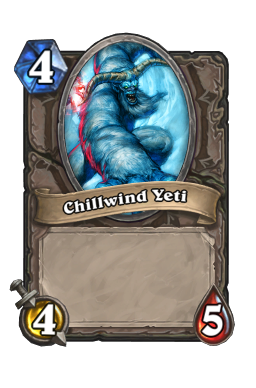 * Losing card advantage: You play chillwind yeti , and cast your Ancestral Spirit on it. 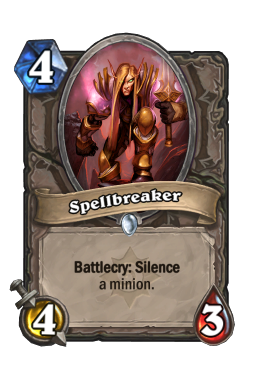 During your opponent's turn, he summons spellbreaker , silences your Yeti, and then remove it with a fireball . 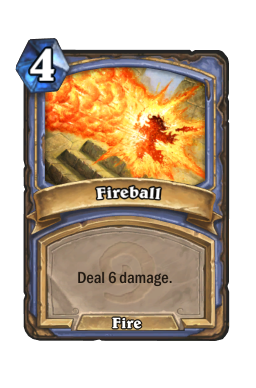 Suddenly, you're down 2 cards, while the opponent only spent the Spellbreaker's battlecry, along with a card in Fireball. Effectively, you've just gotten 2-for-1-ed. 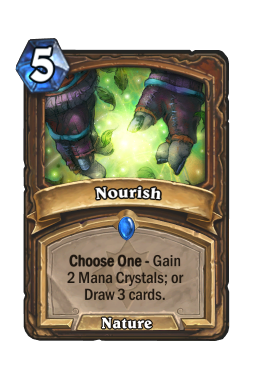 Time to evaluate counterspell : * Gaining card advantage: Opponent plays nourish into your Counterspell. You and your opponent just traded evenly (in term of cards) right? Not at all! He was just about to use his Nourish to draw 3 cards, but your Counterspell stopped it in its track. You just 1-for-4 your opponent right there. Effectiveness, unlike decision-making, is result-oriented. * Losing card advantage: Opponent plays sinister strike into your Counterspell. Surely this time, it would be an even trade of cards? Nope! 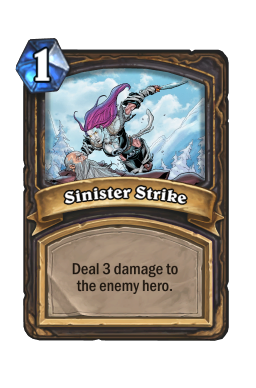 If the effect of Sinister Strike was allowed to resolve, he would be down a card regardless. The card is designed to 0-for-1 itself. However, suddenly now your Counterspell was taken down with it. it does not matter that his Sinister Strike was countered; in this zero sum game, it is you who lost out on a card unnecessarily. As you can see, card advantage - while a fundamental concept - has various amount of depths that is only unlocked with skills and understanding. These examples I've provided are practically the simplest I could produce, as this article is aimed at a general audience. As you gain more experience with the game, you'll find more ways of exploiting the board state, manipulating your draws, planning ahead multiple turns, to swing the card advantage in your favour. It's highly important to fully grasp the concept of card advantage and how to apply it to regular play and deck building. It is best to, at the same time, be reminded that card advantage is not the only source of advantage you can gain in Hearthstone, nor is it always the most significant. There are three parts to this Hearthstone Fundamentals series for a reason. If there's a tease I can give for the next part, I'll leave you with this: "It doesn't matter how many digital pieces of cardboard you have if you're dead." Naturally, comments and questions are welcome, and I'll try to answer them to the best of my reasonable ability. I'm also going to suggest you a song every article. You can find it here. Cited reading: "Taking Card Advantage" by Brian Weissman, 2009.